The SugarBee® apple is a new variety that owes half its parentage to the fan-favorite Honeycrisp apple. Harvesting starts at the start of October, so SugarBee® apples are available in time for the holiday season. This premium-grade apple variety is bright with a crimson skin that ranges from 30%-100% red. The firm skin and creamy white fresh offer a nice snap with each bite. Its juicy sweetness is balanced by just the right amount of acidity. This crisp and juicy apple makes an excellent raw snack but is also very versatile in the kitchen. The SugarBee® holds its shape well when cooked, making it a great variety for baking and roasting. 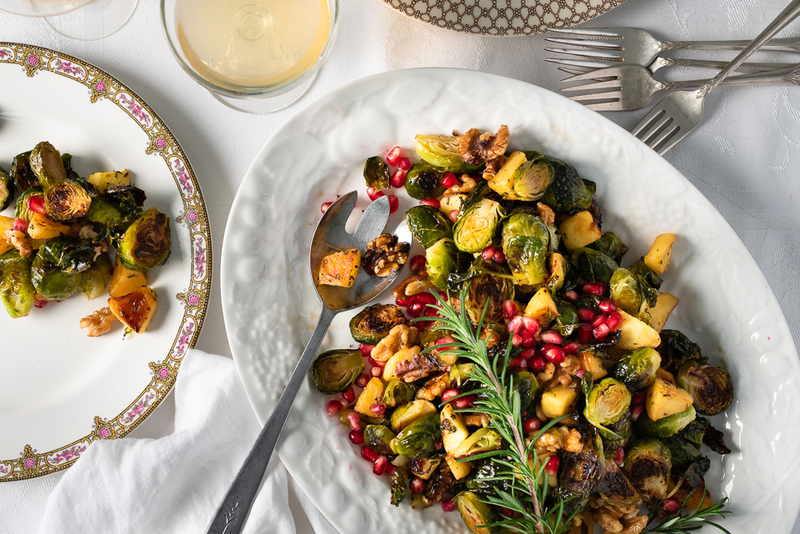 SugarBee® apples are wonderful roasted and make a perfect addition to this roasted Brussel sprout dish. A lovely addition to any holiday table. 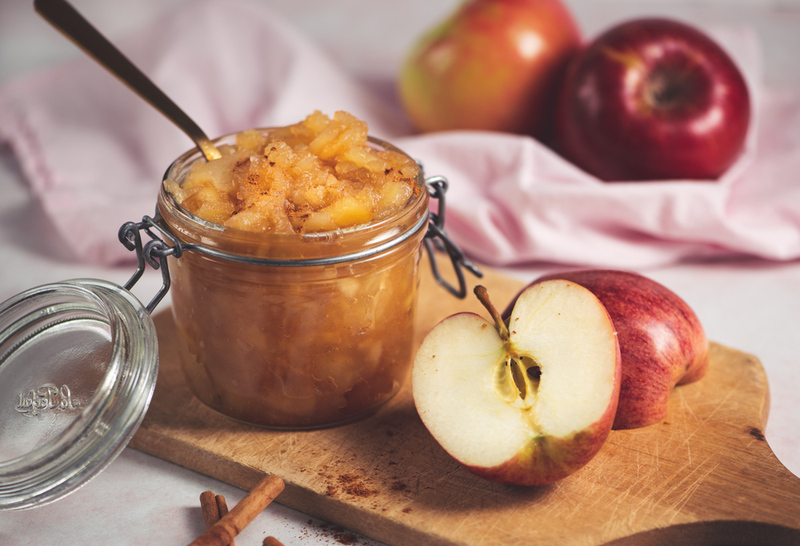 SugarBee® apples are so deliciously sweet, you can make this easy applesauce recipe without any added sugar. 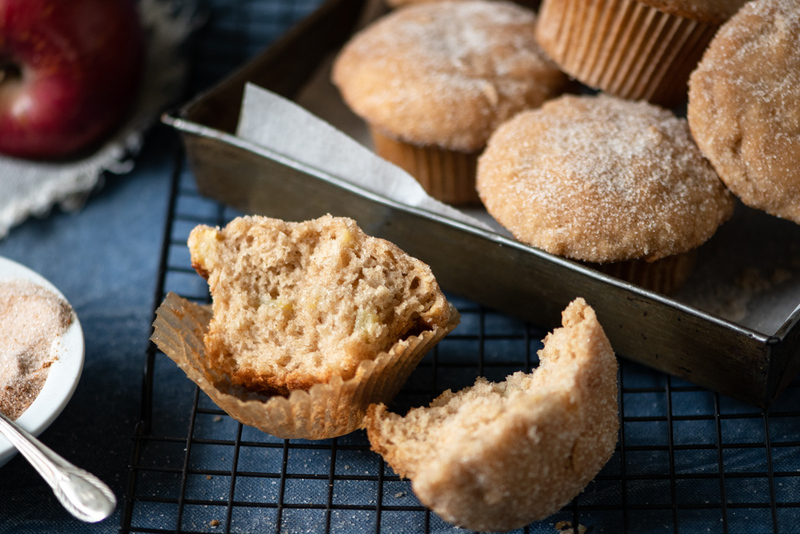 Wholesome apple muffins made decadent by a crisp cinnamon sugar topping. Enjoy these dense, moist and spiced treats any time of day. This gorgeous apple upside down cake is actually very easy to make. SugarBee® apples bring just the right amount of sweetness and acidity. SugarBee® apples aren’t just for baking! Their sweetness and acidity make them super versatile. 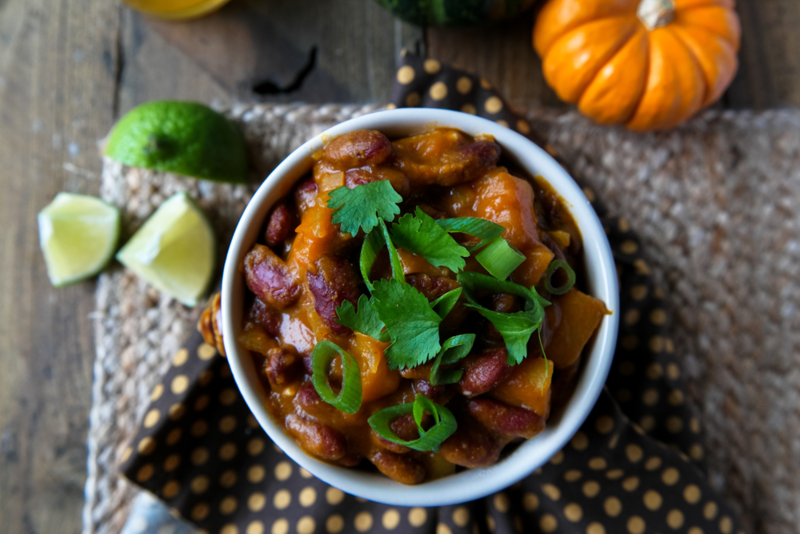 Here they balance out our smoky chili recipe. 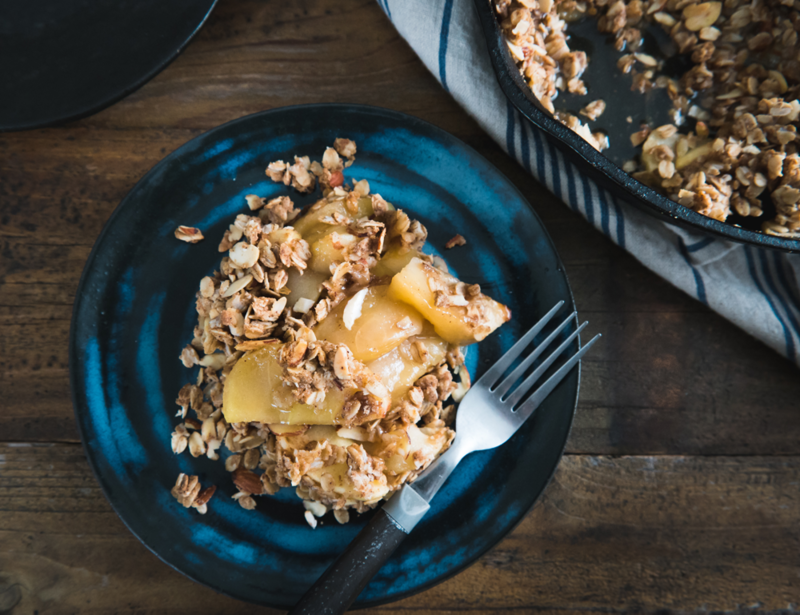 Mix SugarBee® apples with other varieties to make this oat-packed dessert. Serve it hot with cool vanilla ice cream. 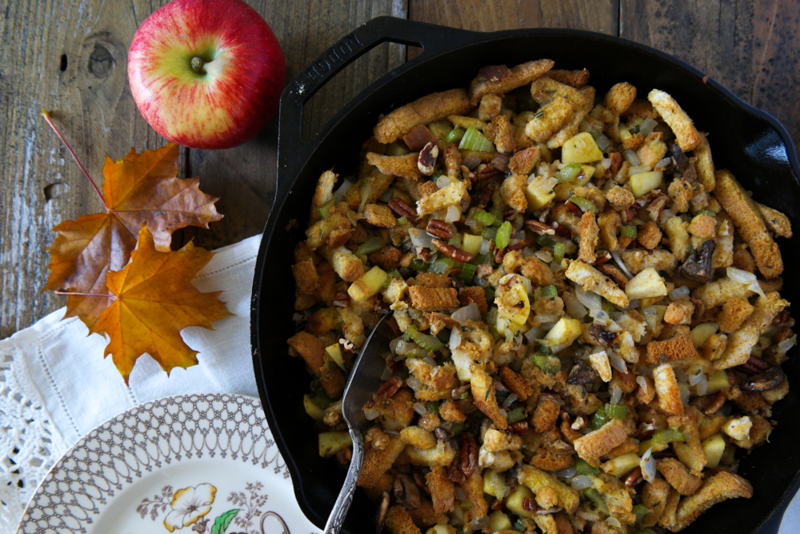 Holiday dinners aren’t complete without outstanding stuffing. Our tried-and-tested dressing with SugarBee® apples is a family favorite. 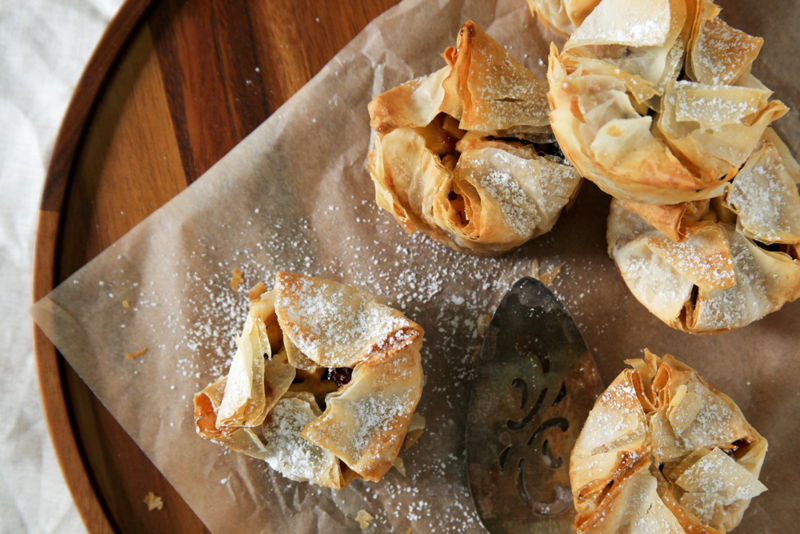 Using store-bought phyllo dough helps this delicious recipe come together quickly. Cranberries and SugarBee® apples are a winning combo!